This season's Simply Beautiful box is bursting with colour and freshness to welcome spring. From decor pieces that will brighten up your home to beauty products that will revitalize your dry winter skin, the goodies in this box will help you spring forward and bloom. Say no to those airline-supplied paper tags and travel in style with this origami-inspired luggage tag in vegan leather from Vancouver’s Lark & Ives. The light cloud shade is the perfect neutral to accessorize anything from your carry-on to your suitcase. 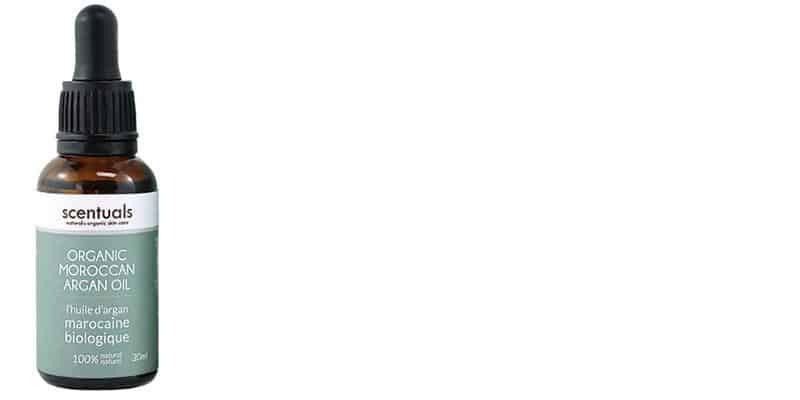 And, most importantly, your contact information is stored safely within so if you get separated from your luggage, it can be easily (but discreetly) identified. 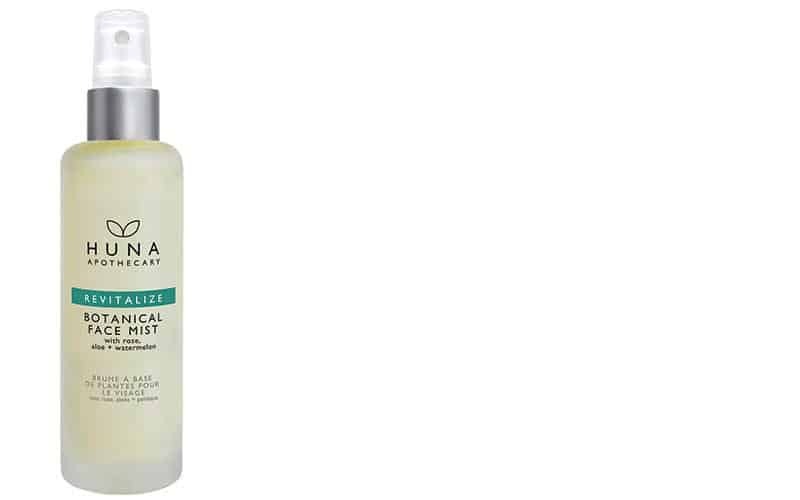 We love that this formula from Winnipeg’s Huna Apothecary does double duty as both a hydrating mist and a toner—plus, it can even set mineral and natural cosmetics. Made with Canadian-grown rose, aloe vera and watermelon, it will instantly hydrate and revive your skin while you breathe in the gorgeous natural scent. Simply mist a few pumps onto your face whenever you need a refresh, or after cleansing if you’re using it as a toner. Inspired by their European heritage and family recipes, the Brockmanns have been making chocolates in British Columbia for more than 40 years. We love their Crunchetti—irresistibly delicious chocolate, almond and rice-crisp clusters that will satisfy your afternoon sweets cravings. The bonus? They're certified kosher, gluten-free and made with no artificial colours or flavours. We love a multi-purpose product—and this 100 percent pure argan oil from Canadian natural skin care company Scentuals will nourish your skin, hair and nails. Rich in antioxidants and omega 6 fatty acids, argan oil helps minimize wrinkles, prevents split ends, and keeps nails strong and healthy. The best part? Scentuals purchases their argan oil from fair trade cooperatives, which help provide women with fair salaries, safe working conditions and education. What’s more spring than flowers? 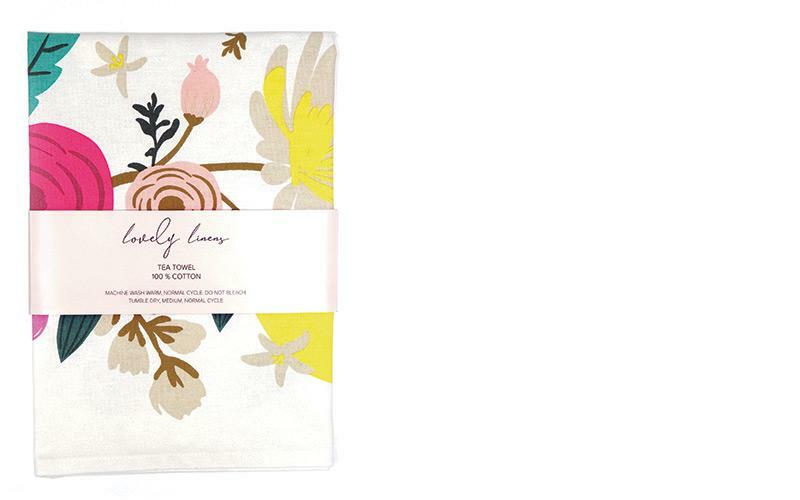 Designed in Vancouver, this 100 percent cotton floral- and citrus-patterned tea towel will add a splash of colour to your kitchen. Perfect for drying dishes, drying hands or just hanging on display, it can either be folded over handles or hooked on by its convenient corner loop. To maintain its vibrancy, machine wash in warm water and dry on medium heat. The scrunchie is back—big time. The ubiquitous ’80s hair accessory has fallen back into favour and there’s good reason why. 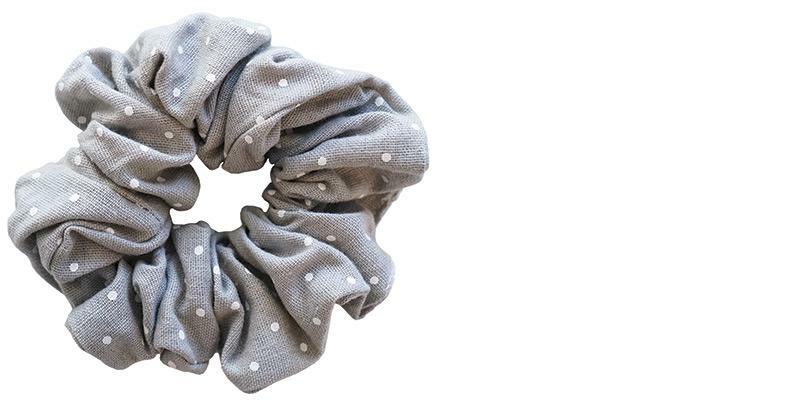 Not only is it super-cute (especially in this grey polka-dotted pattern from Blush Peony), but it’s also soft and thick, making it gentle on your hair. It's a quick and easy way to tie up your hair in a messy bun or ponytail and head out the door for a spring stroll. Ready to do some spring cleaning? Clean, green and simple, Tru Earth laundry strips make washing clothes a cinch. Paraben-free, phosphate-free, hypoallergenic, vegan, readily biodegradable and free of added dyes and chlorine beach, these strips take all the stress out of laundry so you can just enjoy the fresh results. 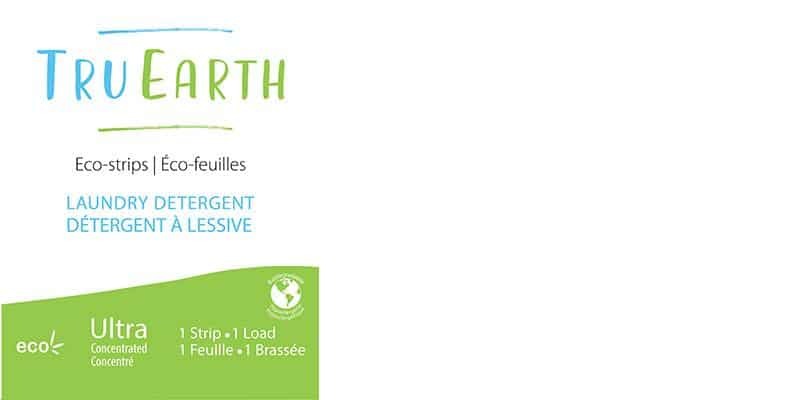 Best of all, Tru Earth offers a subscription service so you can have the detergent delivered directly to your door each month, saving you time and money. We are so pleased to now offer you the chance to make your upcoming Simply Beautiful boxes even better! 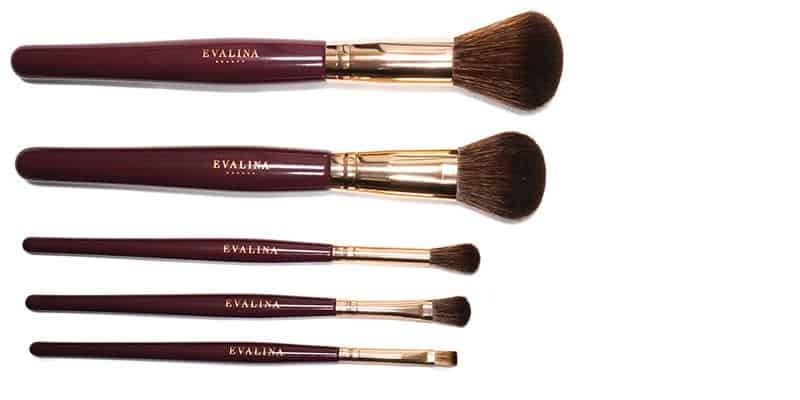 All add-on items are available only to our members and ship free with your box. Here are just a few of the products many of you added to your spring box for up to 70 percent off the regular price. This is how we do office supplies! This gorgeous rose gold gem pen from Blush Peony will have you compiling your to-do lists and grocery lists in style. We love how smoothly it writes and you won’t have to worry about losing a lid with its easy twist opening. With notes of warm vanilla, fire hearth and toasted nutmeg, this inviting fragrance will give you all the warm and fuzzy feels. This Simply Beautiful collaborative special edition candle—like every one of Canvas’s products—is all-natural and handmade of 100 percent soy wax. 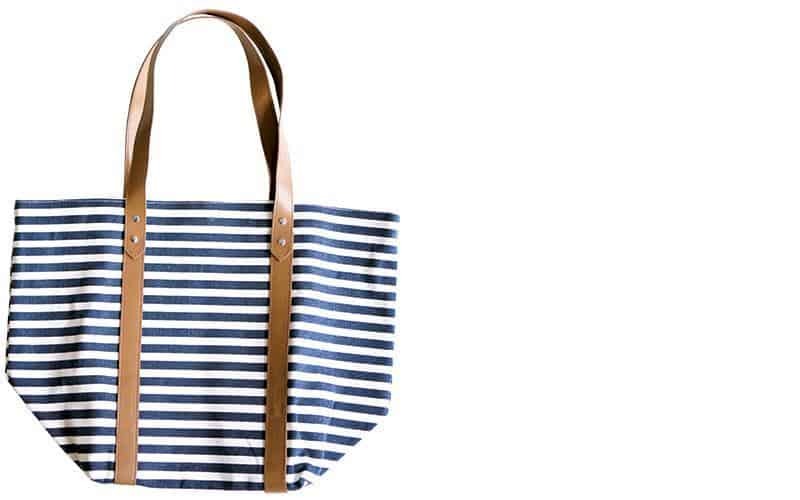 This classic navy-and-white-striped tote in durable cotton canvas is perfect for the park, beach, or even as a carry-on. With its wide base, there’s plenty of room for all your essentials, and the coated lining means that all you have to do is wipe it clean. The ultimate in coziness, these gorgeous twist knit, fleece-lined slipper socks from Blush Peony are like a blanket for your feet. Grab a magazine and snuggle up fireside in pure comfort. For those who are always chilly, these socks are great to wear even while sleeping on cold nights. From shampoo to supplements to skin care, we wanted to find the most socially conscious beauty brands in the country. 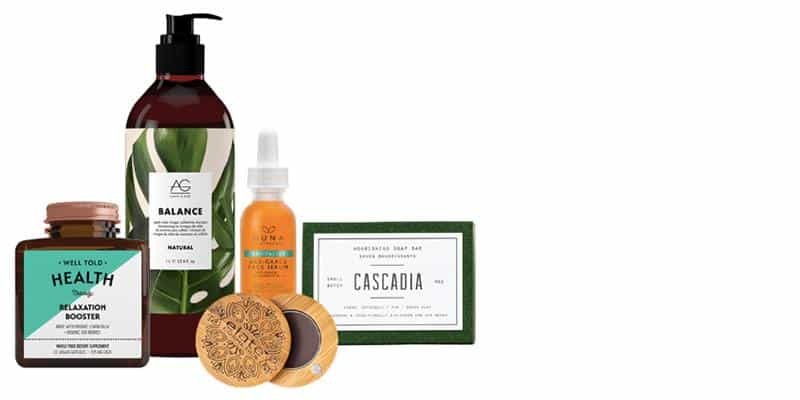 After combing through countless submissions, we landed on these five clean and green products for our Simply Beautiful Awards Winners box.